Cafeteria at Saint MSG Glorious International School feathers good service, a variety of tasty food items ; spacious eating area and the environment to the students. Our appealing self-serve canteen has been designed to help sell healthier choices, meet hygiene requirements and to streamline service. 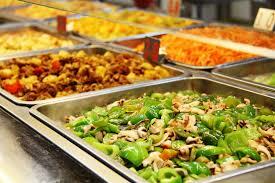 To provide a variety of nutritious and attractively presented food and drinks at a reasonable cost. To maintain high standards of hygiene in handling, preparing, serving and storage of food. Operating at a break-even point or at a reasonable profit for the benefit of the school and, in turn, each child.